Jumbo Mountain has a story, a tale to tell. Somewhat unknown to us in Europe, but for the locals of Jumbo glacier and those living in the area, the question of this "resort" no matter what side you are on, is everything. The development plans for this resort for some mean innovation, jobs and expansion and for other it means the destruction of the environment and native land. Thrillism wants to bring the story from both sides to you. So for those who may be wondering, what is Jumbo Mountain? Jumbo mountain is an area in East Kootenay in southeast British Columbia, Canada. Situated approximately 55 km west of Invermere, close to the Commander Glacier and around the headwaters of Jumbo Creek. Jumbo Mountain is in the Purcell Range of the Columbia Mountains. The area is recognised as a holy place for natives Canadians and land that has brought spiritual fulfilment to those who worship the area and for others, it means the last semblance of the wild. The story of Jumbo mountain told from the perspective of preservation was told on Netflix by Patagonia and friends in the documentary "Jumbo Wild", this brought the story into the limelight for the rest of the world. It told the story of Tommaso Oberti and the architects at Pheidias Group. Their plans were to build a resort in the area and what a detriment it would be. However, for us to be able to retell this story that holds so much importance for the subjects and the people in involved, we must tell the story from both sides, something the documentary did not. Every story has two sides which is why we wanted to reach out to the charity spearheading the campaign to protect the area, unweaving in their dedication and passion for nature and the dying concept of "Wild Canada". Equally for Tommaso who recognised potential, innovation and promise in the area by building a resort that brings jobs, tourism and investment to the valley. Let's dive right in, reserving judgment until hearing from both sides, we spoke to Tommaso Oberti. Q.1 Introduce yourself a little- Are you a lifetime lover of the mountains and Skiing? Absolutely! I began skiing when I was 4 years old and I fondly remember family trips to Banff, Lake Louise, Jackson Hole, and to the Italian Alps when I was a child. 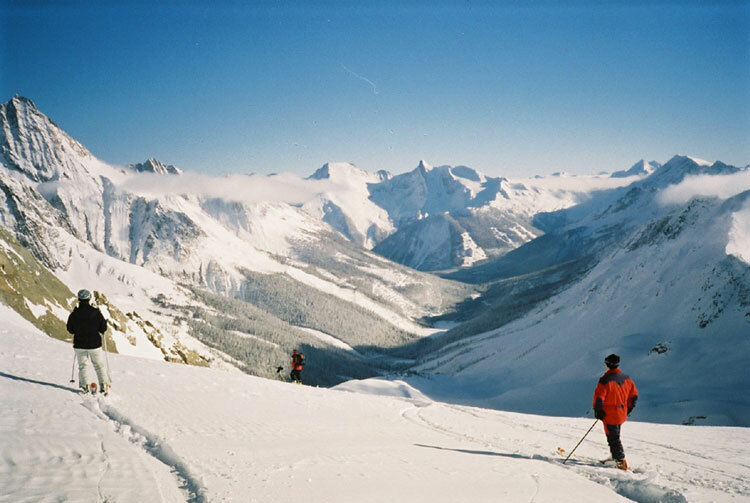 Even though I was little, I still remember the first time I ascended the Summit Platter at Lake Louise and I remember being struck by the awesome views of the Rockies and the exhilaration of being on top of a mountain. I was fortunate to experience many ski areas around Western Canada, as well as summer training on the glaciers of Passo Stelvio (Italy) and Les Deux Alpes (France). It was there that I marvelled at the experience of summer skiing and wondered why we couldn’t do the same in Canada. Q.2 Why Jumbo Glacier, what motivated you to embark upon a project like this. Did the land inspire you, why in that particular area of BC? It was my father’s discovery. He grew up at the foot of the Alps in Italy and was also a ski racer. He skied for Ski Club Courmayeur Monte Bianco (which originated in 1912) and he has a deep love for the mountains. Once he settled in Canada he became an architect and he was hired as by a Japanese company in the early 1990s to build a resort. His mandate was to find the best location for a resort in North America. Being a lover of mountains and recognizing that there is no lift access in North America where one can access high elevation glaciers for sightseeing and snowsports, his company set out to find the best location for such access on the continent. The criteria was to find a location with the best climate for snowsports, access to glaciers and beautiful sightseeing, large vertical drops, and reasonable road/logistical access. 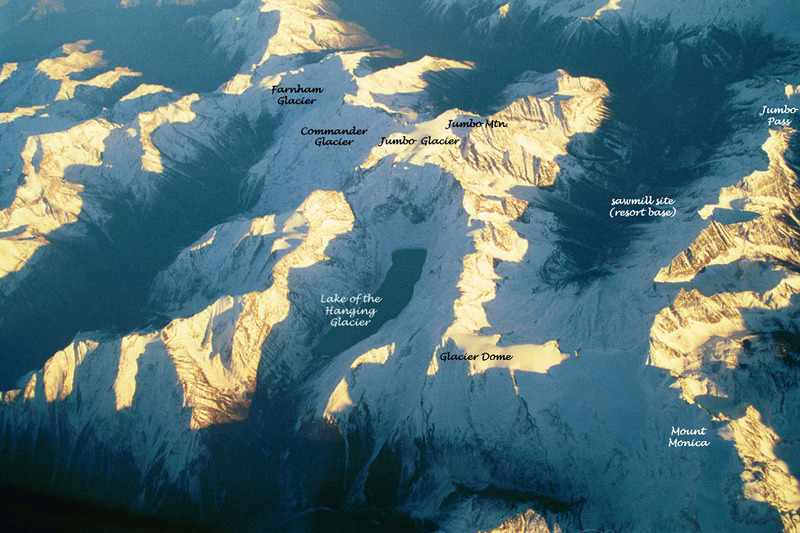 They narrowed down the search to three locations in British Columbia and chose the upper Jumbo Valley as the ideal place based on the above criteria. These mountains are amongst the best in the world for skiing. They are where heli-skiing was born. They are at the right latitude, have ideal vertical drops (from 3,500m to 1,200m), impressively abundant snow, many glaciers, and they are not subject to the cold arctic outflow winds of the Rocky Mountains from the North nor the warm Chinook winds from the South. Unlike, for example, Colorado, the valley bottoms are low enough to be comfortable for visitors from low elevations (where the majority of people in the world live) and unlike the mountains that are closer to the Pacific Ocean, their bottom elevations are above the natural snow line and the snow quality is dry and light. Finally, the views of Jumbo Glacier calving into the beautiful Lake of the Hanging Glacier are absolutely spectacular – unlike anything else in North America. The resort site has a bottom elevation 1,750m and the upper Jumbo Valley is U-shaped and provides access to four large glaciers up to 3,420m in elevation. These glaciers are Glacier Dome, Jumbo Glacier, Commander Glacier and Farnham Glacier. Equally important was that the Jumbo Valley was previously disturbed. It had a large mine operating at its entrance for over 50 years, had been extensively logged, and was a popular heli-skiing, hiking, snowmobiling and back-country skiing destination with good road access. It is an ideal location for a mountain resort. Q.3 What a project, how, after all the years of contention, did you stay motivated? Surely at some points, with so much controversy, you thought about abolishing plans? For four reasons: first, as architects and professionals, we are obligated to serve our clients. They have invested a significant amount of money in the project and it is not right for us to walk away from them because there are challenges to overcome. Second, the government until now has only ever encouraged the project despite many instances where the bureaucracy attempted to stall it. The project was declared “in the public interest” and the courts have always sided with it. It has won six cases, including an important decision by the Supreme Court of Canada. We’ve always believed that in the end justice will prevail as there are many misconceptions and untruths espoused by some project opponents. Third, it has an approved Master Development Agreement with the Province. It was an extremely difficult approval to obtain and took many years of dedicated work. There is tremendous value in that approval, which is very unlikely to be duplicated in the near future so it would be unwise to walk away. Fourth, it is a unique and amazing project – unlike anything else in North America. While some may see my father and our team as stubborn, his (and our) dedication is driven by a passion for these mountains and the desire to provide access to them to the average person. Q.4 What will be different about this resort? Ie, the sheer scope of the surrounding landscape? 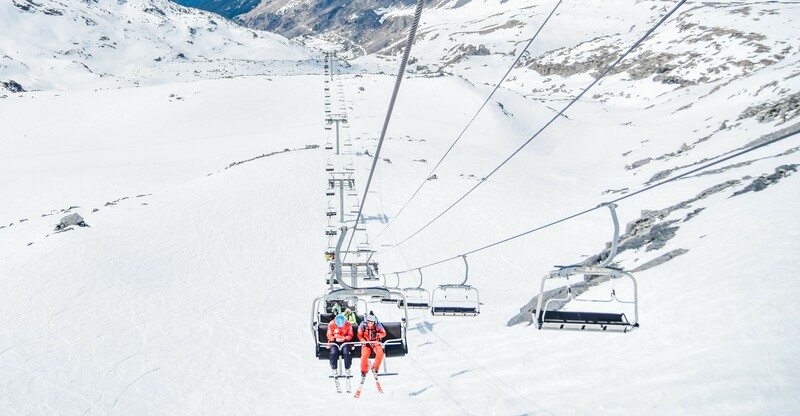 Access to high-elevation glaciers for year-round snowsports combined with absolutely stunning sightseeing and an ideal climate. What is particularly special are the views of the Lake of the Hanging Glacier. There is nothing like it in terms of snowsports or sightseeing presently in North America. Q.5 Preservation-wise, what benefits will the resort bring to the ecosystem, the environment etc. The project is subject to the most stringent environmental management obligations of any resort (and most industrial projects) in Canada. They are designed to produce a “no-net-effect” on the environment. This is unique amongst approved resorts in North America. Because of it, a huge conservation area exists around the resort. What many people don’t realize is that Grizzly Bear hunting has been permitted until recently (now only indigenous hunters are permitted) and in our estimation about 80-90 Grizzly Bears have been killed for sport in the Central Purcell Grizzly Bear Unit (CPGBU) area (where the resort is located) since the resort was first proposed. In terms of habitat, the resort impacts less than 3% of the Grizzly Bear habitat in the CPGBU. It also provides a unique opportunity for public education not only through its conservation methods but also via interpretive experiences of botany, wildlife and glaciology at high elevations. Q.6 What will the development bring to the community from build, establishment to opening? Certainly, there will be significant long-term direct economic benefits to nearby communities in terms of jobs and the need for equipment, materials and services, but less obvious are the indirect economic benefits of having a truly world-class destination in the region. One example is Panorama Resort, located 36km away, which will benefit from increased visitors who will make use of their accommodations and services, especially in the early stages of the project, before such services and accommodations are available at Jumbo Glacier Resort. Q.7 Finally, how long will the project take? And will we get tickets to opening day? Heh! I’m sure you will! The plan is for a 20-year build-out. Construction has started but is now stopped due to court proceedings. At this time, it is unknown when construction will resume. Tommaso has expressed passion and commitment to the project, this dedication is paralleled to that demonstrated by those trying to preserve the area. Let's hear from them. . . .
We spoke to Wildsight, the charity championing the preservation of the area. 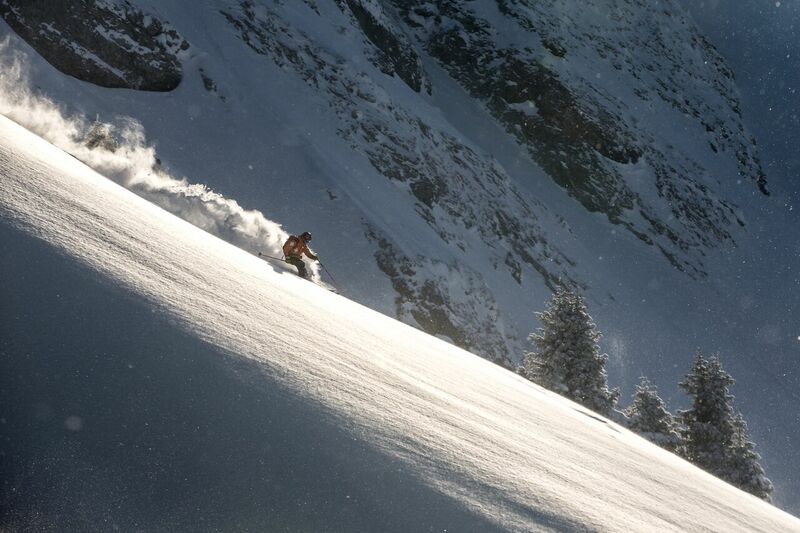 Q.1 Introduce yourselves a little- Are you lifetime lovers of the mountains and Skiing? My name is Robyn Duncan. I grew up in Kimberley and have been a lover of mountains and skiing since an early age. I work for Wildsight, which is a conservation organization based in the Columbia Basin region of British Columbia. We work to protect wildlife, clean water and wilderness and to inspire a love of this place. Mountains are part of what makes this place home, not only to us but for the wildlife species like grizzly bears, wolverines and elk. 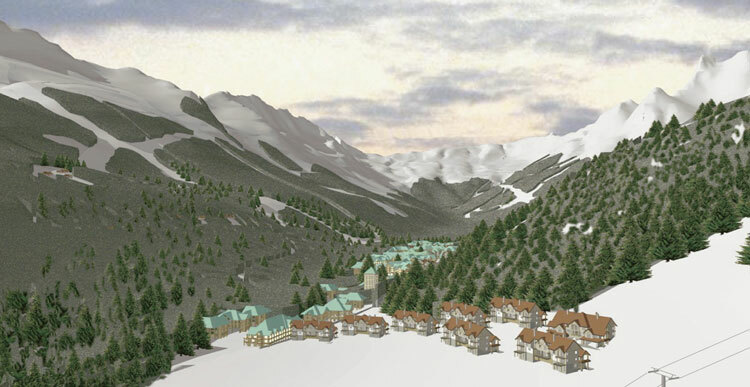 Q.2 As fellow mountain lovers, why were the plans for this resort so heartbreaking for those against the plans? How did it all start, why is Jumbo Glacier different to any other areas in that part of BC? The Jumbo Valley is in the Purcell Mountains, between two stunning wilderness areas, the Purcell Wilderness Conservancy and Bugaboo Provincial Park. The proposed Jumbo Glacier Resort poses a significant risk to the grizzly bear population of the Columbia Mountains - the large footprint of the resort would fragment an international wildlife corridor. The ski resort was proposed 51km from the nearest down up a rough, logging road. 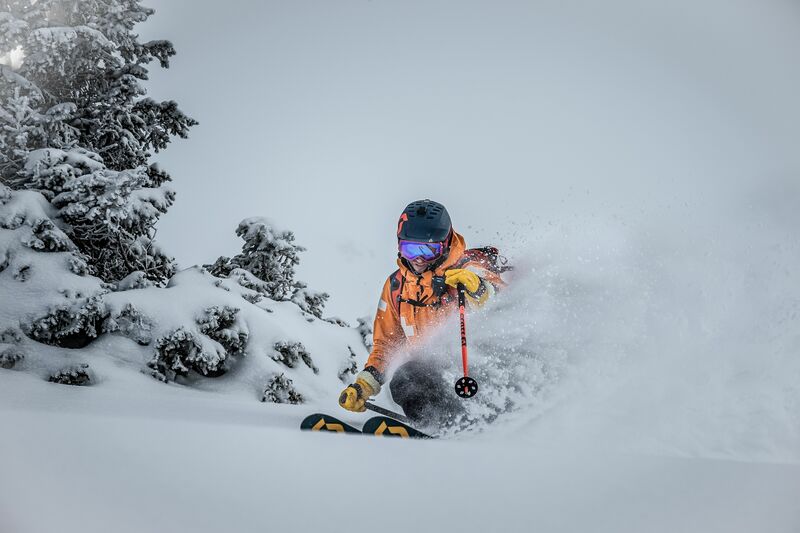 The Kootenay region boasts a number of world-renowned ski areas - we do not need another one in the heart of the wilderness. Q.3 What importance and reverence does the valley hold for the Natives Canadians? The Ktunaxa, have lived in their territory since time immemorial and have a deep spiritual connection to the animal world and, in particular, to the grizzly bear. Qat’muk is a very special place where the Grizzly Bear Spirit was born, goes to heal itself, and returns to the spirit world. The Grizzly Bear Spirit is an important source of guidance, strength, protection and spirituality for the Ktunaxa. Qat’muk’s importance for the Grizzly Bear Spirit is inextricably interlinked with its importance for living grizzly bears now and in the future. The Ktunaxa have a stewardship obligation and duty to the Grizzly Bear Spirit and Qat’muk. Q.4 Since the supreme court ruling, what does this mean for those against the plans? Has this rallied the troops so to speak so will some regrouping be needed or rather, will the protests cease? The Supreme Court ruling was very disappointing. But it didn’t in any way approve the resort. 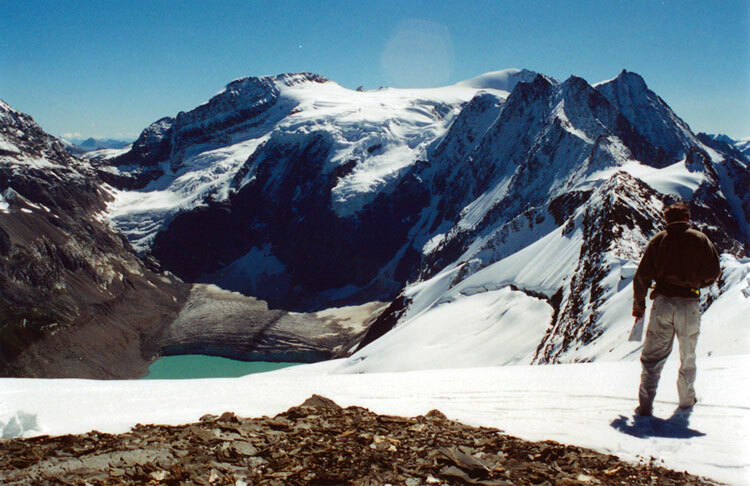 The Jumbo Glacier Resort’s Environmental Certificate was cancelled by the BC government after they failed to substantially commence development in 10 years. Without that environmental assessment, they cannot proceed. They challenged this decision in court - we intervened in the case and it is still being heard in the BC court. Our communities have been opposing this resort since it was first proposed in 1991 and we remain committed to continuing the fight to keep Jumbo Wild. Which side do you feel kindred too? Do you see the expectation and excitement for the project or do you worry about the environmental repercussions? Where you stand the story of Jumbo mountain is a story all adventure lovers must know about. No matter the side you stand with, all adventurers, lovers of mountains and snow, must take time to think about the bigger picture. How our actions, our desires to explore and seek the unknown has a story. How did the resorts and the infrastructure get her, what did that mean for the land? All our actions have a footprint and everything we leave a trail. To be conscientious is to understand how to best benefit those people and environment around- both concepts are open to discussion, subjective in their nature. Be smart, be knowledgeable, be pensive and be kind. . . .
Do you have any thoughts? If you have any questions if you want to know more find all the resources below. Otherwise email us at angelica@thrillism.com or message us on social media. We would like to thank Tommaso Oberti, Vice President of Pheidias Group and Robyn Duncan, Executive Director of Wildsight for taking their time to offer their insight and sharing their story with us. We have been truly inspired by Powder Magazine and their series entitled "Passing Through", they visited some fantastic places in USA and we dreamed of the chance to experience some of these very destinations for ourselves. When the opportunity came around to visit some of the sensational resorts in the Midwest, from my own bucket list, I thought I would take the same concept as our friends at powder magazine and instead create a written series to inspire you guys to take a well-deserved trip to the US to ride. Skiing, snowboarding, apres ski and more in cowboy country, seeing insane views, eating, drinking and riding. 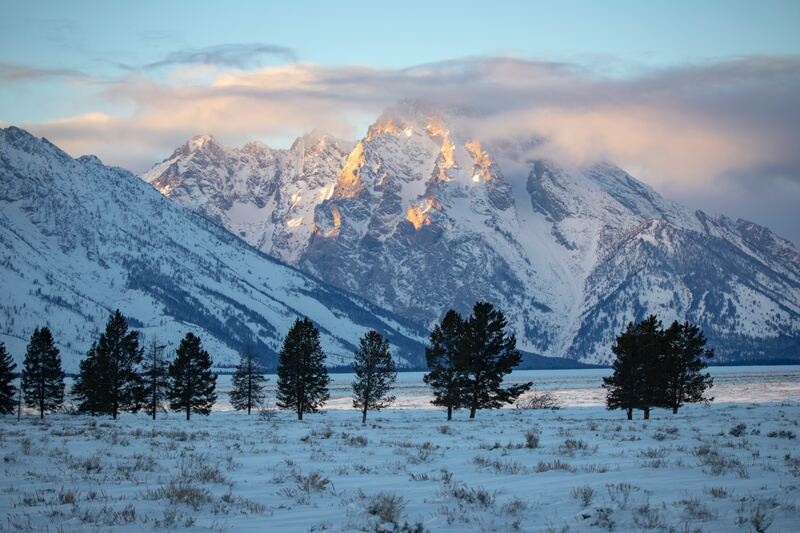 First stop is Jackson Hole, read to learn more. . . .
Valentine's day is creeping up rather quickly and what says romance more than a Valentine's adventure in the Alps. A perfect time of year for the snow, the quiet slopes and for lovingly kissing your significant other at the top of a viewpoint whilst pretending you’re not freezing and secretly wishing for a spa and glass of red wine. Sound dreamy? You will gain top partner points, so I will do the hard work and give to you the top 10 most romantic ski destinations- thank me later. Thrillism teamed up with Global Shots to learn more about the untold story of the French mountain rescue team of La Clusaz. Global shots tell the story of the trails and tribulations of the mountains, skiing, powder, people and more. We got our hands on the official trailer. . . watch it here now and get stoked for the full movie, dropping next week! Untold- The Story Of The French Mountain Rescue Team Of La Clusaz. Thrillism teamed up with Global Shots to learn more about the untold story of the French mountain rescue team of La Clusaz. Global shots tell the story of the trails and tribulations of the mountains, skiing, powder, people and more.